I live in Western Ohio, near Dayton and just East of the Richmond, Indiana border. 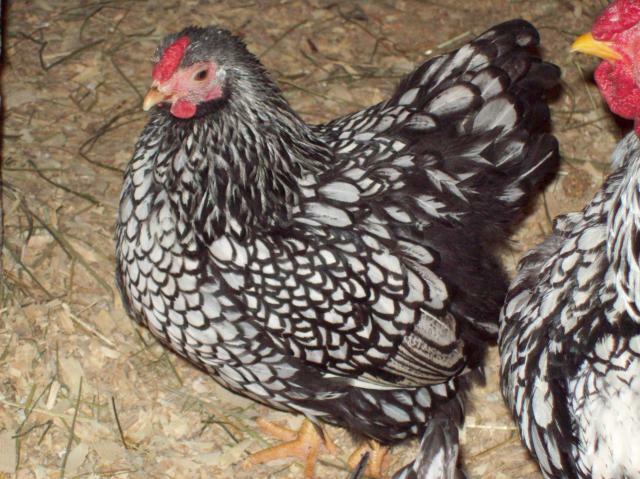 My current flock consists of Bantam Silver Laced Wyandottes, Bantam Partridge Wyandottes, a single Hen Cuckoo d'Anver (pet) and LF Blue Laced Red Wyandottes. We also have 2 dogs and 5 cats. Thanks to all the BYCers who welcomed me to this community, I look forward to learning, chatting and meeting some new friends who are as excited about chickens and other animals as myself. This is a photo of Gladys & Burnt Marshmellow. 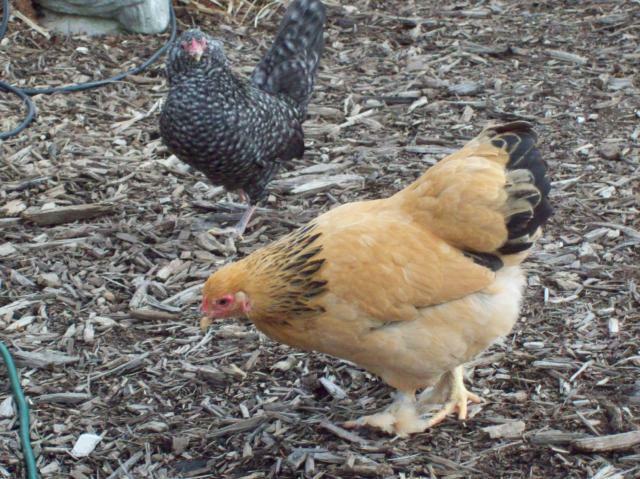 Gladys is a Buff Brahma and Marshmellow is a Cuckoo D'Anver. Both bantams. Gladys passed away last summer suddenly...not sure what happened. She is greatly missed. Marshmellow I hatched from an egg and I still have her, she is my friendliest bird. I have to be careful not to step on her when I am in her coop. She got her name because when she was a chick she looked like a little burnt marshmellow! 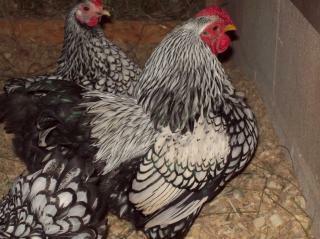 Just a couple pictures of my Silver Laced and Partridge Wyandottes. 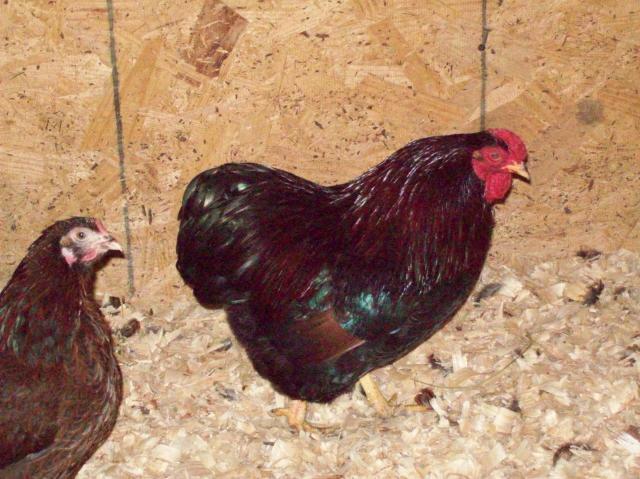 I have hatching eggs available from both of these color varieties and hope to have eggs available this fall (2010) from my LF Blue Laced Red Wyandottes. 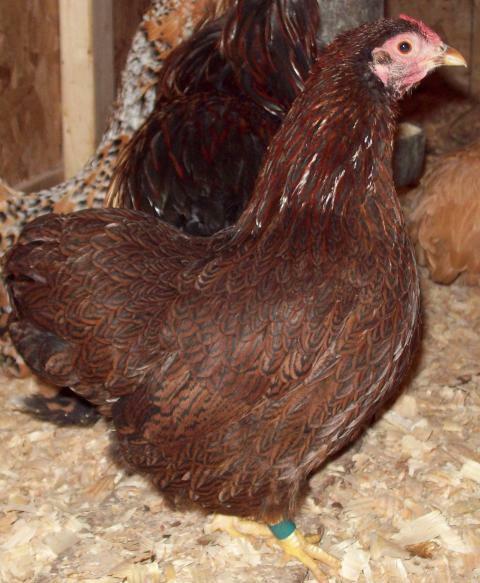 (Foley line) Thanks for checking out my page and I will try to update with pics of my Blue Laced gang when they are mature and laying (confirmed) fertile eggs. Hi, got some bantam SLW eggs from you a while back. Wondering if you had any for sale yet?